Can Acupuncture Reduce Blood Pressure? You may have heard, from your local acupuncturist or your Aunt Millie, that acupuncture has been proven to treat hypertension. As it turns out, this is not an outright fabrication, since a few clinical studies have suggested that blood pressure can be temporarily reduced with acupuncture treatment. It is, however, a gross exaggeration. Acupuncture is not an effective long-term strategy for treating hypertension. “Acupuncture” is a family of procedures derived from Chinese practices that began 2000 years ago, which have been used over this time to treat a variety of medical conditions. Modern acupuncturists have added several new features to the traditional insertion and manipulation of needles, including magnets, electrical stimulation, lasers and ultrasound. The variety of techniques being used, along with the fact that acupuncture is based on ancient Chinese philosophy rather than on any scientifically verifiable physiological processes, has made it difficult to prove or disprove its efficacy (in the modern scientific sense) for any particular purpose. Several clinical studies have been conducted to measure the ability of acupuncture to effectively treat hypertension. One of these studies was reported as being positive, thus popularizing the notion that acupuncture is an effective and practical treatment for hypertension. In 2007, a clinical study published in Circulation suggested that acupuncture — when performed to the precise, exacting specifications of ancient Chinese tradition — could be an effective treatment for mild hypertension. 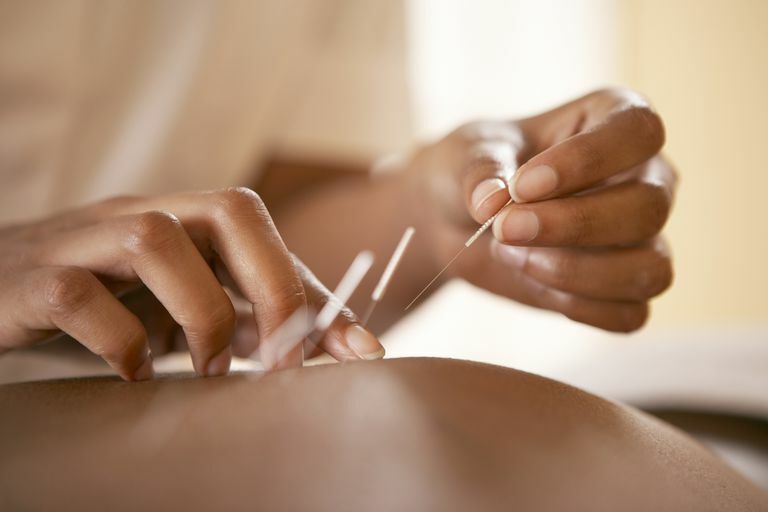 In some people, the study suggested, strictly-performed acupuncture could be roughly as effective as you would typically get with single-drug therapy or with aggressive lifestyle changes (exercise and salt restriction). The study enrolled 160 patients in Germany and China with mild to moderate hypertension, and randomized them to receive either traditional acupuncture (performed by Chinese physicians accredited in acupuncture) or a sham procedure. The “sham” procedure was, in fact, also acupuncture. It consisted of identical acupuncture sessions, complete with needle insertions, with one major difference. Namely, the insertion points were not the precise sites prescribed by traditional Chinese medicine for treating blood pressure. Both groups of patients underwent 22 sessions of 30 minutes each over a period of six weeks. At the end of that time, the systolic and diastolic blood pressures in patients receiving traditional Chinese acupuncture were significantly reduced (by approximately 5 mm Hg and 3 mm Hg, respectively). Unfortunately, when acupuncture was discontinued, blood pressures in these patients returned to baseline values within a few weeks. A comprehensive Cochran review from 2018 looked at all 22 published clinical trials that have evaluated acupuncture for the treatment of hypertension. The Cochran review found that a total four of these studies reported a small, temporary reduction in blood pressure with acupuncture. The other 18 studies were either negative or were of such poor quality that no conclusions could be drawn. The Cochran review concluded that there is no evidence that acupuncture can be used as an effective and practical form of long-term treatment of hypertension. While the study published in Circulation (likely the “best” study so far suggesting that acupuncture can benefit hypertension) is intriguing, a single, small clinical trial is never regarded as definitive proof by experts. That is especially the case here, since many other trials have also looked at the same question, and the overall results are negative. Even if you are inclined to accept the results of the positive study, those results do not lead us to a practical way of managing hypertension. It is remarkable that in this study acupuncture was effective only when the operators used the precise insertion points as prescribed by ancient Chinese tradition, and also applied the precisely prescribed angle and depth of needle insertion, along with the the correct needle manipulations at each insertion point. Any of us can find an acupuncturist on any street corner in any major city, but how many of us can find one who is actually steeped in formal, precise, ancient Chinese techniques, and is fully trained to apply them? So, even if acupuncture may work in treating mild hypertension, this approach seems a bit impractical for most of us. Not only do you need to find a certified expert in traditional Chinese medicine, but you also need to find him/her three times a week, forever. Many clinical trials have looked at acupuncture for the treatment of hypertension, and the results of those studies have not been encouraging. Even if you are inclined to accept the results of the single positive study, when it comes to the average person, taking a pill every day — or even exercising for 20 minutes three times a week and watching your salt intake — will turn out to be a far more practical approach to treating mild hypertension. Flachskampf FA, Gallasch J, Gefeller O, et al. Randomized trial of acupuncture to lower blood pressure. Circulation 2007; DOI: 10.1161/CIRCULATIONAHA.106.661140.